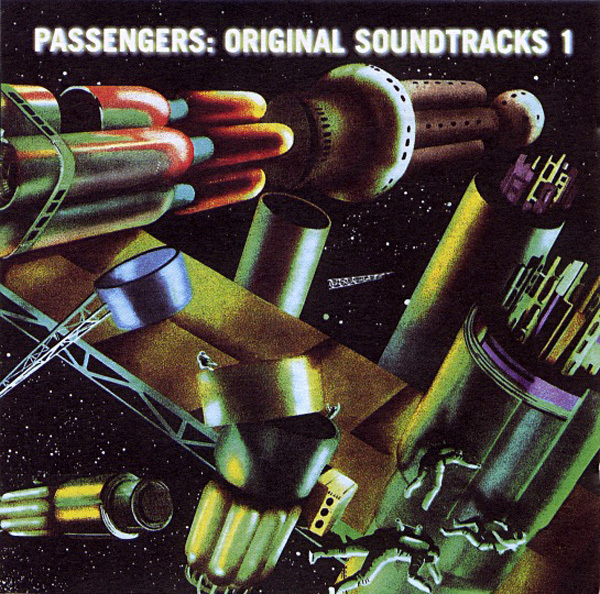 Original Soundtracks 1 was actually the first “U2” album that came out after I had become a rabid fan in high school. I also remember this being one of the first “current” albums I researched and discussed on the internet, such that it was at that point. I know a lot of U2 fans were pretty mystified by it, but I enjoyed it. I also had no familiarity with Brian Eno’s solo career at the time, but now that I know a little more, it’s definitely a nice melding of U2 and Eno. I remember Miss Sarajevo being played on Live 105 at the time, which is pretty odd, considering the opera part of the song (which I think they edited down for broadcast). If you like Brian Eno you should definitely check it out. 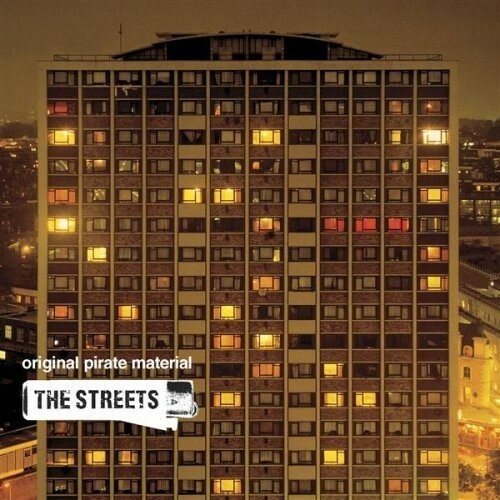 I remember friends standing next to me at the very front of the crowd at Bimbo’s having brandy poured in their mouths (and on their shirts) by Mike Skinner himself. I remember being at the Fillmore in the same brandy soaked situation, but this time hiding a brandy soaked stranger without an age verification bracelet who was crouched down next to me, until security decided that they couldn’t find her in the melee and I gave her the signal that it was safe to get up. Oh and how could I forget… at Bimbo’s the Streets asked from the stage for a song about SF; he handed my friend the microphone, but she blanked, so I chimed in “I Left My Heart in San Francisco”, which he started chanting to everyone. A couple months later, Rolling Stone magazine noted this had happened in a very short (and so-so) review of his performance. I was thrilled to have (indirectly) gotten a mention in my teenage bible! The boasting, the nostalgia, the indiscretions, the self-doubt – Mikee Streets wrapped up everything about being a twentysomething at the turn of the century in this album, with a bow on top – the album cover. It’s one of my favorites of all time. 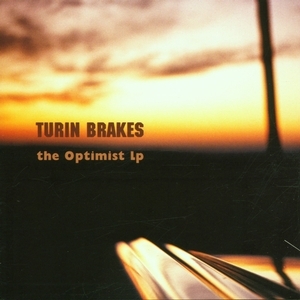 The Optimist is Turin Brakes’ first LP and I don’t really know why I didn’t fall in love with it back when I originally picked up this album. At the time I was really paying attention to whatever Astralwerks released, since they were knocking them out of the park. Listening now, this album is no exception. I guess it just didn’t click. Plus they weren’t really “personalities” – as much as I’d like to deny it, that really helps to grab and hold attention, even if you think that kind of thing doesn’t affect you. This is another “first discovery” of something I’ve owned for years that I’ll need to make sure I listen to more. 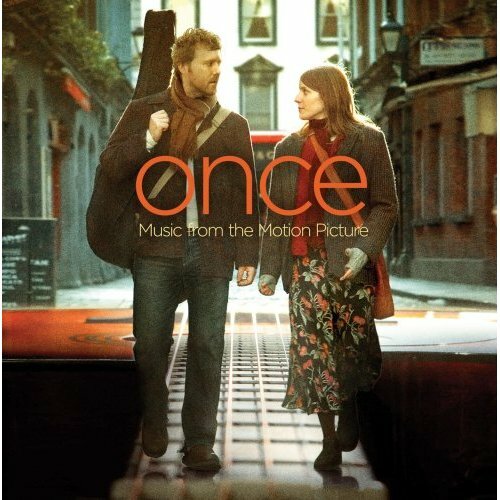 Once is a very sweet movie, without being saccharine or cliche, and the best part is that the music is great too. Despite being a film full of non-actors, it’s a very well acted film. Before I saw the film I was only vaguely familiar with The Frames (Glen Hansard’s band) so I didn’t know what I was in for. His songs, Marketa’s songs, and the songs they do together are all beautiful and complex, but simple at the same time. I’ve seen them perform live a couple of times now and they are masters of their live show as well – it’s like you’re in someone’s living room. When they won the Oscar for Best Song, I couldn’t have been happier for them. It was completely deserved. This is the first review I’ve come across that’s made me stop and think about my strategy. Do I do 5 separate reviews for all 5 Simon and Garfunkel albums (mostly) contained herein? Or do I just write one long review? Because I’m too lazy to create 5 separate entries, this is going to be a doozy of an entry. Anyway, even in its cruelly chopped form, I fell in love with it immediately. The themes fit my life pretty perfectly – here’s all this stuff I’m “supposed” to do and not do, but what am I going to do with my life that’s at all interesting? I also loved the subversive humor – scenes that were hilarious, even though from a straight reading one wouldn’t know anything was funny (“Ben!” “Mr. McGuire.” “Ben!” “Mr. McGuire.”). The Graduate was screened twice on campus while I was at Cal, and it was a great experience to watch it with other young people who seemed to “get it” too. The laughing and talking back to the screen was never as fun at any other movie. “You’re going the wrong way” when Benjamin drives on top of the Bay Bridge, supposedly going to Berkeley. The screams of recognition at all the Berkeley location shooting. And I’ve never heard an audience get as riled up at any other movie scene than when Benjamin uses the crucifix to defend himself and lock the door at the end of the film. The filmmakers made something truly meaningful and lasting if 30 years later college students were as enthralled as we were. And the music – it’s beautiful and used to brilliant effect. The campus audience always cheered as “Music by Simon & Garfunkel” appeared on the screen. 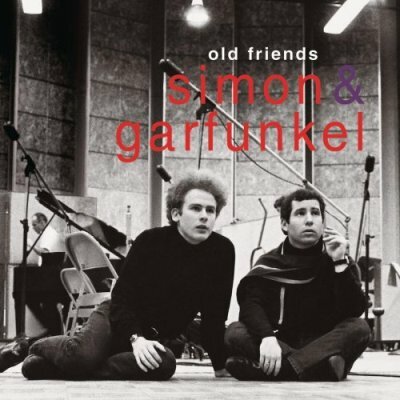 As soon as I saw the film as a high schooler, I wanted all the Simon and Garfunkel I could get my hands on. I went to Vinyl Solution (yes, it’s really called that) to make all my purchases, since that was the only place anywhere nearby that sold used vinyl cheaply. This is the reason why I own Old Friends – I don’t own any of their albums on CD, and buying the box set when it came out was a lot easier than acquiring them all. Wednesday Morning 3 A.M. was the last album I bought, which is pretty back-asswards. I was already used to the electric version of Sound of Silence, as well as Dylan’s original version of Times They Are A’Changing, so I was unimpressed by either version on 3 A.M. However, it’s great to see where they got their start and which songs influenced them. He Was My Brother is an excellent first stab at a protest song by Paul. My parents already owned the Sounds of Silence album, so I immediately started my intense S&G study with it. Sound of Silence is one of my favorite songs of all time. The singing is beautiful, and the lyrics are poetic, descriptive, and gripping. “The words of the prophets are written on the subway walls.” I never realized until now that no one ever uses a harpsichord in popular music, but it’s used to such nice effect in Leaves That Are Green. This song makes me feel the passing of time very acutely – I remember when “21 years” was quite a bit older than me, and now it’s so much younger. The album Parsley, Sage, Rosemary, and Thyme immediately makes me think of Berkeley, both because of how the song Scarborough Fair is used in The Graduate, and because it was the first record I played in my dorm after I set up my stereo, since Berkeley is name-checked in Cloudy. Each song is a beautiful little story wrapped up with a bow with the fabulous harmonies. The Bookends album is a major leap in maturity for the duo. Maybe it has to do with the increased notoriety from the success of the Graduate. The layers of sound in songs like Save The Life of My Child and the more funky musical direction in general sound much less like simple “folkies” and more like multifaceted musicians. Mrs. Robinson is one of the great singles of all time. Despite the musical maturity, Bridge Over Troubled Water is actually a return to Simon and Garfunkel’s 50s New York street harmonizing (they even go so far as to include the Bye Bye Love live track to make that point). Cecilia was purposely written as a song people would sing in the street, and I would put Baby Driver and Why Don’t You Write Me in the same class. Another part of this album is white-boy gospel like Bridge Over Troubled Water. Old Friends includes two extra Christmas tracks from their career, Star Carol and Comfort and Joy and way back on their first album they sang Go Tell It On The Mountain. I always found it a little odd that two Jewish guys were singing their hearts out about Jesus in these three songs, but I think it was all leading up to writing a song like Bridge Over Troubled Water in the same style. It wasn’t the words that they were latching on to, it was the sound and vocal emotion. The only thing about Bookends that really bugs me is that while the tracks are in general ordered chronologically, they completely mixed up the song order as it appears on the albums. Maybe they figured that in our world of song shuffle, it didn’t matter. But it does to me, dammit! I never shuffle. 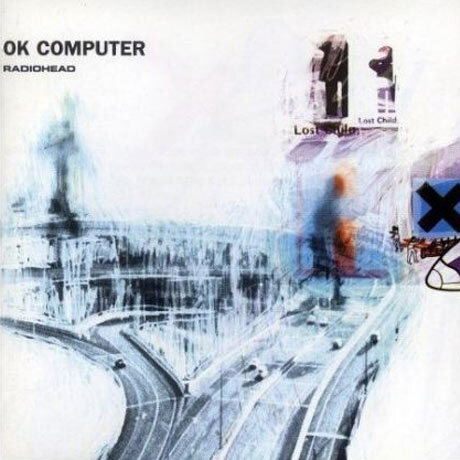 OK Computer is the first Radiohead album I ever bought. I slacked on purchasing The Bends and Pablo Honey for a very long time, just because I was very familiar with the singles (and a cheapskate) and wasn’t motivated to buy the whole thing. It was the beginning of college when OK Computer was released, and that was when I decided to dive in. I’ve been hooked ever since. An odd note is how funny the Mac-robo-voice is on Fitter, Happier 13 years on. It totally reminds me of the 90s and making our computers say silly or dirty statements. My friend Audrey and I used to have competitions about who could think of the funniest one, and we had a rotation on our Macs so every alert message was a different statement. Having a computer say “Dammit” when it encounters an issue is very fitting. 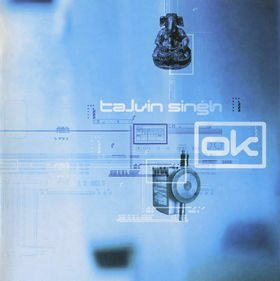 OK is a lot more upbeat than Ha. I can stand listening to it at work without danger of sleeping. It’s both jazzy and Eastern-flavored at the same time. However, it still probably belongs in yoga class, not my office.